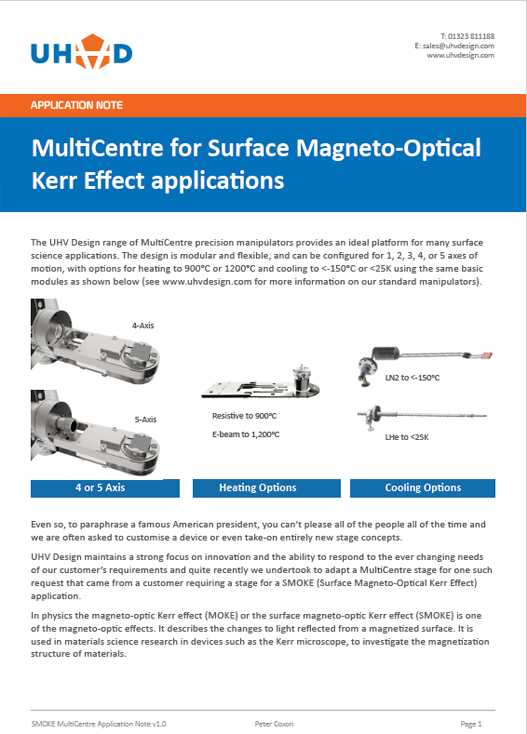 This section contains download links for our most popular brochures and the ability to request technical whitepapers. 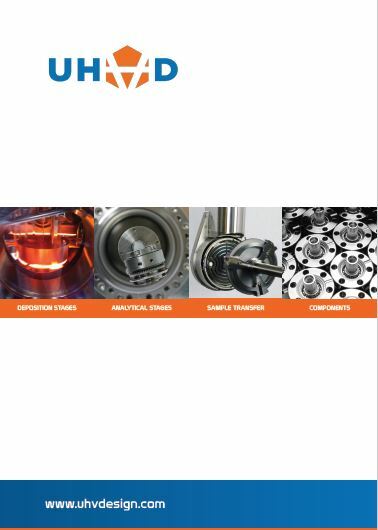 UHV Design's 2018 product catalogue available for download or to view online. 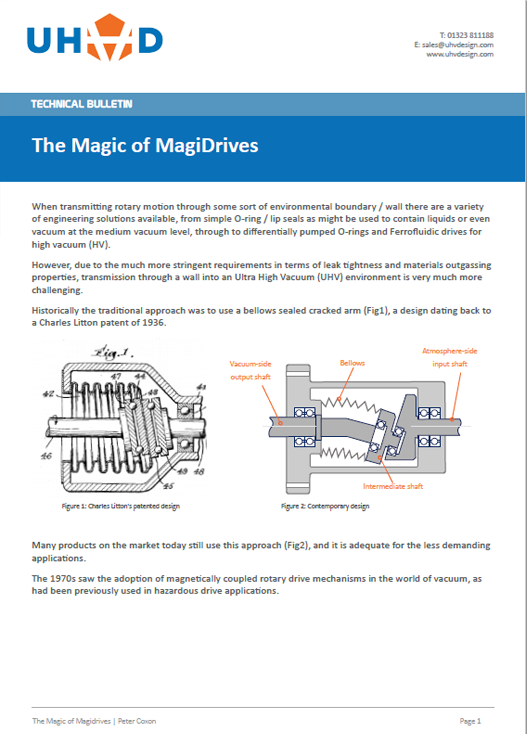 Learn how we worked with CERN to develop a new magnetically-coupled linear drive to replace bellows devices. 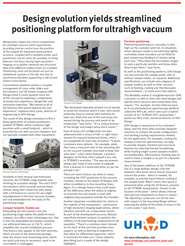 IOP Article detailing how our Tetraxe XYZT manipulator evolved from listening to our customers such as Scienta Omicron. 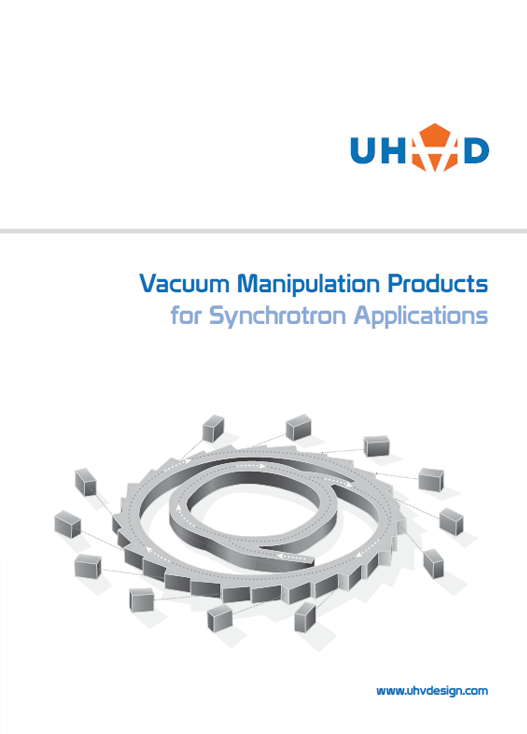 This brochure briefly outlines each product offered for synchrotron use, providing examples of their applications on transfer paths, storage rings, beamlines and end stations. 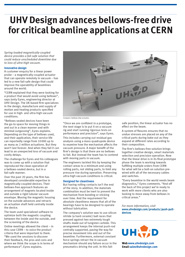 Learn how magnetically-coupled rotary drives became the natural choice for UHV applications. 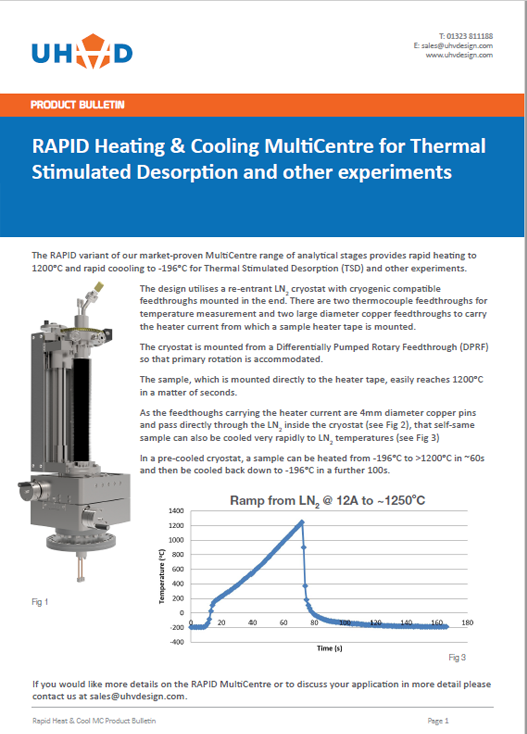 Rapid heating & cooling stage for Thermal Stimulated Desorption experiments. 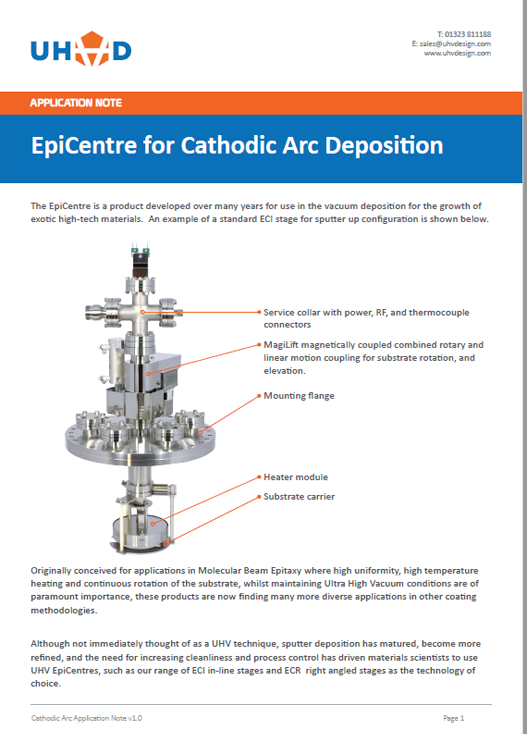 Learn about our substrate heating stage designed specifically for Cathodic Arc Deposition applications. 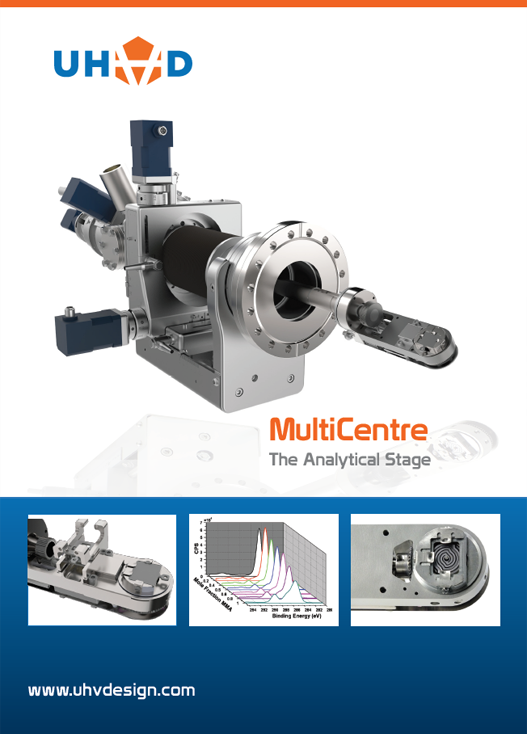 Comprehensive range of deposition stages. 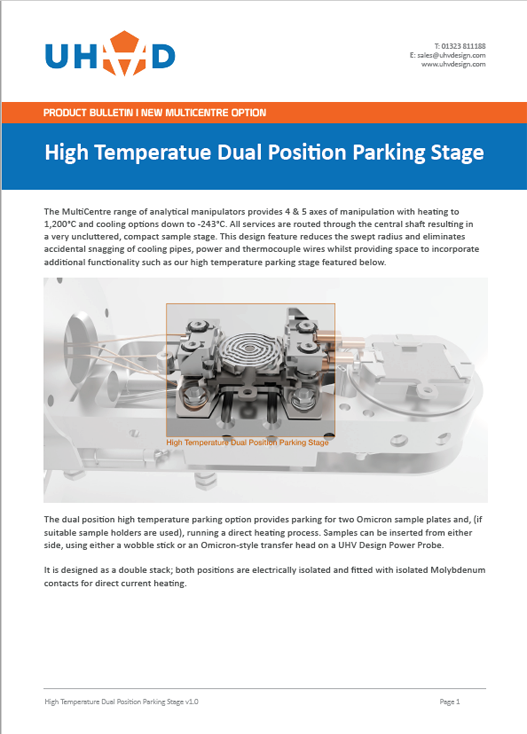 In-line, right-angle and Glancing Angle configurations available, providing substrate manipulation, RF Bias and heating to 1,200 Degrees C.
Heating and cooling sample stages designed specifically for surface analysis applications. 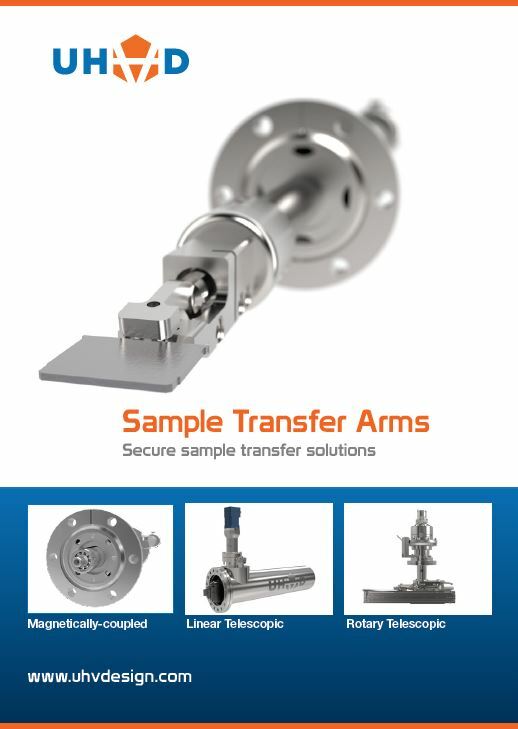 Compatible with all common sample holders (flag, puck, ESCA stub) and providing sample manipulation, heating to 1,200 Degrees C and cooling to 20K.